Geothermal systems take advantage of the fact that underground temperatures are usually kept around 50-55° F at all times. Geothermal heat pumps extract these temperatures from the ground to help heat your home in the winter, or to help you cool your home during the summer months. Not only are geothermal heat pumps environmentally friendly, but they're also extremely energy efficient. 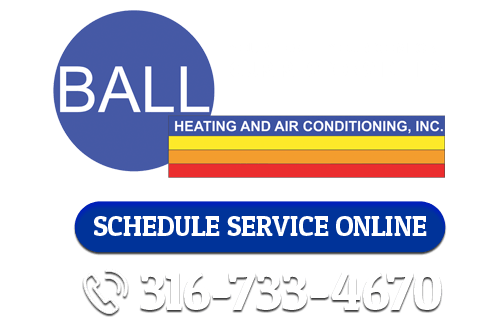 Having a geothermal heat pump installed at your Wichita home can save you up to 60% on your energy costs, and the professionals at Ball Heating & Air Conditioning can help. As geothermal experts, our heating contractors can help you evaluate the heating and cooling needs that you have for your home and decide whether or not a geothermal system would be beneficial to you. Then we can install your geothermal heat pump and ensure that it works as effectively and efficiently as possible. The most energy efficient gas furnaces have energy efficiency ratings of around 94%. Geothermal heat pumps, on the other hand, have efficiency ratings of 400%. Because these systems work by transferring heat from the ground instead of by burning some type of fuel, they produce much more heat while using much less energy. Geothermal systems require no outdoor unit, so they run very smoothly and very quietly. And because no part of the system is outdoors where it could be damaged by weather, geothermal systems are very reliable. There is no more environmentally friendly way to heat and cool your Wichita home than using a geothermal system. Geothermal systems do not emit carbon dioxide or any other harmful gases. They also have a low demand for electricity which helps reduce peak grid demand and the need for more electricity generation. Because no combustion occurs within a geothermal system, there is no chance of carbon monoxide poisoning. Geothermal systems should be considered an investment. In a short period of time, you'll see energy savings that will make up for the cost of the installation. Over time, geothermal systems will produce energy savings that will equal and exceed their original costs. Geothermal systems use technology called "ground source heat pumps" to make the transfer of hot or cold air more efficient. They extract the temperatures that are in-ground around your Wichita home, and they can heat or cool your home with 40-60% less energy than any other heating and cooling systems. If you’re looking for a geothermal system in Wichita, call Ball Heating & Air Conditioning at 316-733-4670, or fill out our online request form.